Color can be a pretty scary thing. I know, that sounds a little crazy, but where fashion is concerned, I tend to stick to neutrals, with a pop of color in my bag or scarf. But I've been trying to move away from that "uniform" and have more fun with color in my daily wardrobe. Color has made a real comeback in clothing the last few years, colored jeans, colored shoes, etc. It's no longer a pair of blue jeans with a variety of t-shirts. 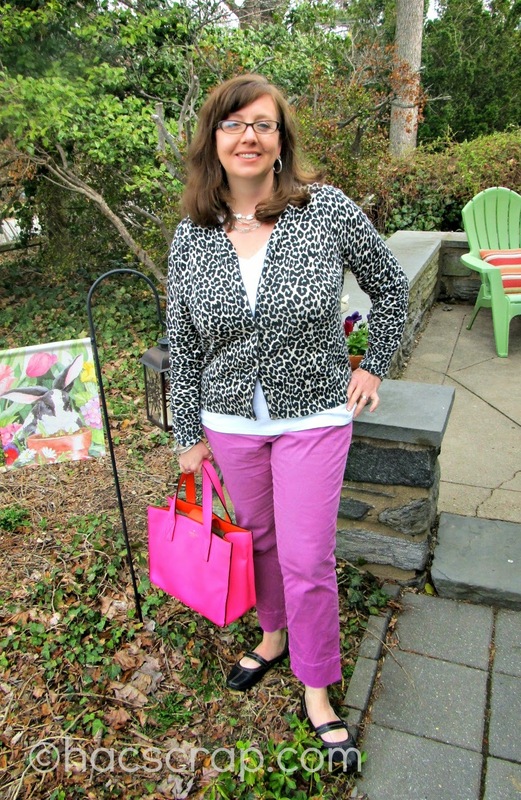 I've been lucky to find a few pairs of colored jeans/pants that fit great and work with a lot of pieces I already own. Let us not forget the sacred pair of green jeans I bought for a PENNY - literally. Color can be hard to wear. If you're just getting started, add one piece at a time to your wardrobe. If you're feeling color-shy, pair your color with a neutral like black or white. Keep shoes simple and make sure your color piece is comfortable so you feel good wearing it. The best accessory a girl can wear is her confidence - right? What's your favorite way to wear color?